This Eid celebrate the beauty of life by gifting someone special (or even yourself) with the limited edition Made in Sephora ‘My Beauty Box’. This perfectly pocket-sized gift box contains must-have makeup essentials to ensure your Eid nights are pretty ones. Perk up your peepers with the glamorous neutral shades of the Colorful 5 Eyeshadow Palette in the aptly named #8 Sunrise to Sunset Bronze. Apply Nuit Kajal in Beige on the lower lash line to open up your eyes and swipe on Nuit Kajal in Black for that classic smokey eye look. Frame your eyes with Outrageous Volume – Dramatic Volume Mascara for long, luscious lashes and finish the look with a plump pout courtesy of the silky, long-lasting Mini Cream Lip Stain in #40 Pink Tea. After a busy night of festive celebration, don’t forget to remove it all with the Mini Waterproof Eye Makeup Remove – an after-makeup essential that is often overlooked. So step out of the box and think beautiful this Eid. 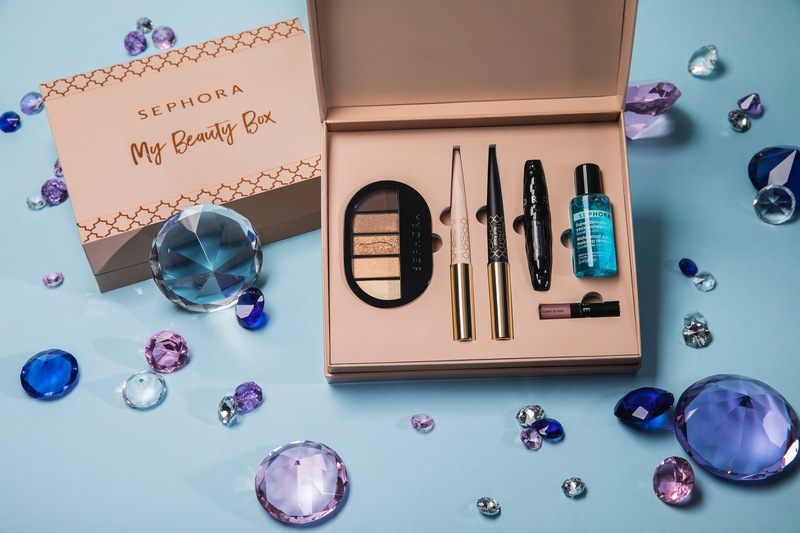 The Made in Sephora ‘My Beuaty Box’ is priced at AED 178 and available now in Sephora stores across the UAE. This is a very pretty look! I love the sephora beauty box! Ugh I really want one, I think this just convinced me. Loved this post.